At SnapEDA we know how important it is to stay organized during the design process, and that’s why we are happy to announce an exciting new colloboration. Starting this week, you’ll now be able to find SnapEDA’s symbols and footprints within PartsBox! 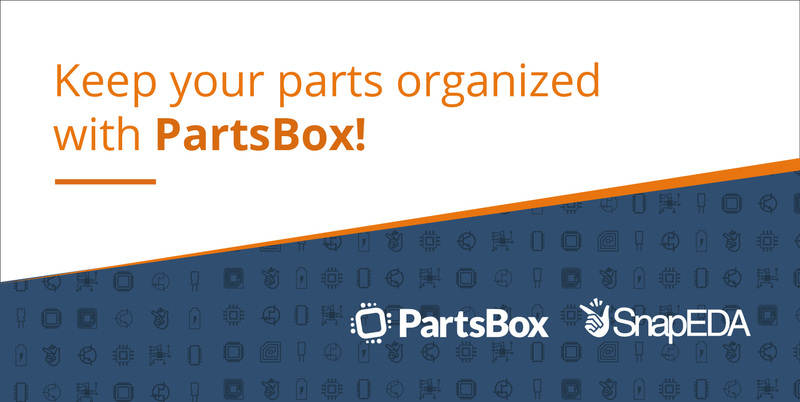 PartsBox is an app for managing electronic components. It allows designers to keep track of where components are stored, what the current stock levels are, and which components are used in which projects. 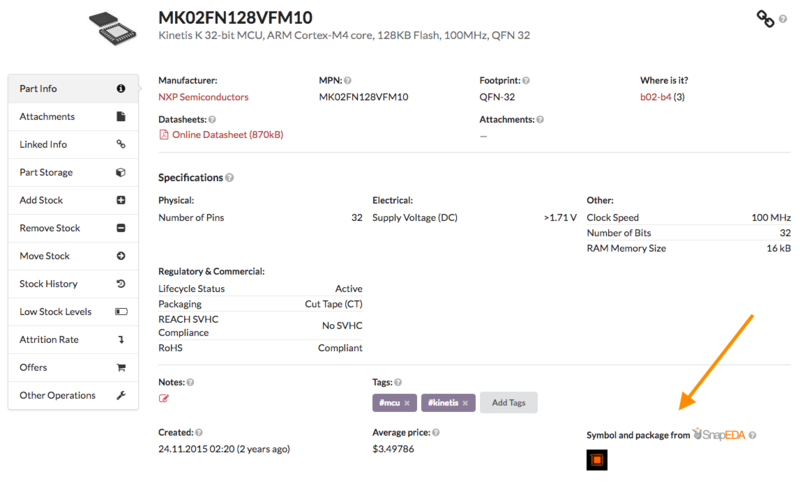 It displays component specs, allows designers to attach documents (ex: datasheets, 3D CAD models) to parts, and allows for search of the database quickly. It also provides up-to-date BOM pricing and offer management, automatically managing price breaks and currency conversions. PartsBox is free for single-access users, and has premium plans for larger teams. According to PartsBox, it is commonly used by small design and manufacturing companies across a wide variety of niches (such as automation, IoT, sensors, and agricultural), R&D labs at larger companies, and hardware startups. 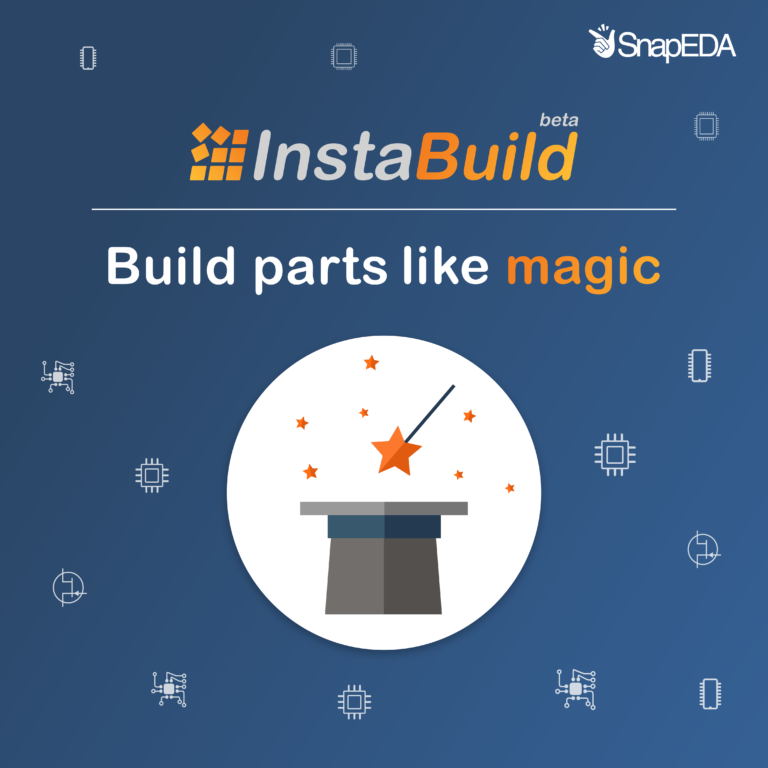 This new collaboration uses the SnapEDA API, which is an easy-to-use HTTP library that provides on-demand access to symbols and footprints. So give it a try, and let us know what you think of this new integration!